Create a selection of delectable Thai dishes such as papaya salad, green curry, coconut soup and spicy chicken; a different menu is provided each day! Great class. Location is close to BTS and easy to find. Nice to be able to visit local market. 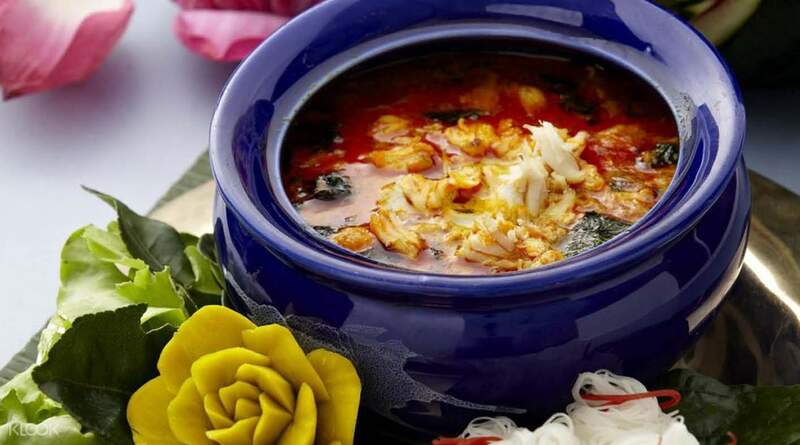 Thai cuisine leaves no one indifferent. Flavorful, spicy, boasting a mix of exotic spices and ingredients, Thai dishes are have character and are exceptionally memorable. 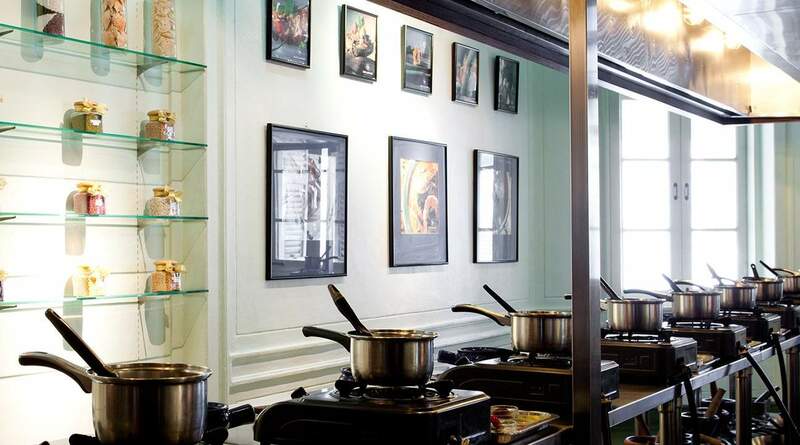 Blue Elephant fine dining restaurant offers some of Bangkok's most popular cooking classes, under the competent guidance of experienced chefs. 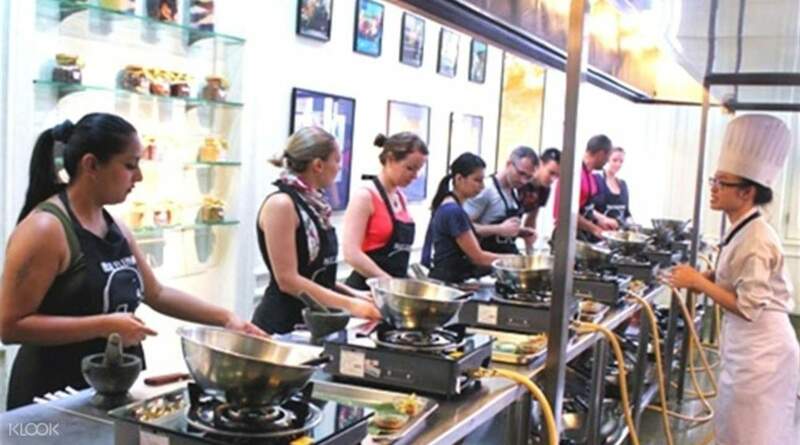 Despite its popularity, the classes maintain a good ratio of chefs to students and will give you a comprehensive introduction to Thai cooking. 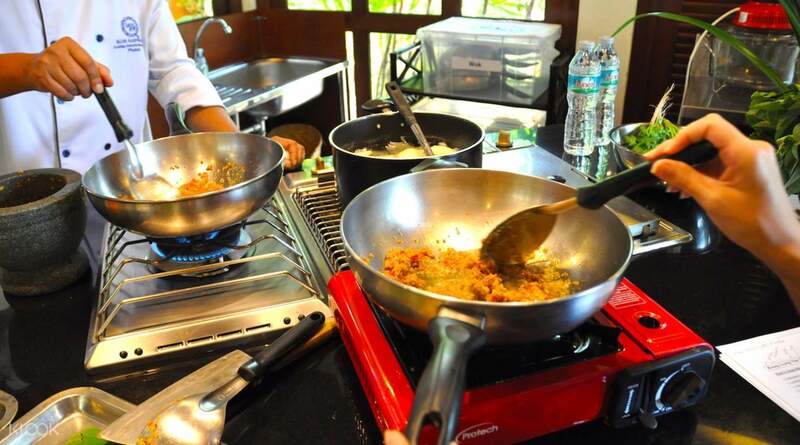 With a morning or afternoon class to suit your schedule, Blue Elephant Cooking class will give you all the needed skills to recreate your favourite Thai dishes at home and welcomes both novices and professional chefs alike. Chef demonstrate the cooking clearly before our hands-on practice. Chef is very patient to answer any questions raised during class. We had what we cooked at the end of course in the restaurant. It was delicious! Chef demonstrate the cooking clearly before our hands-on practice. Chef is very patient to answer any questions raised during class. We had what we cooked at the end of course in the restaurant. It was delicious! Very good experience, funny chef with good food. Very good experience, funny chef with good food. The school located in the center of Bangkok, near MRT station. They prepared all the necessary ingredients and utensils that you may need. 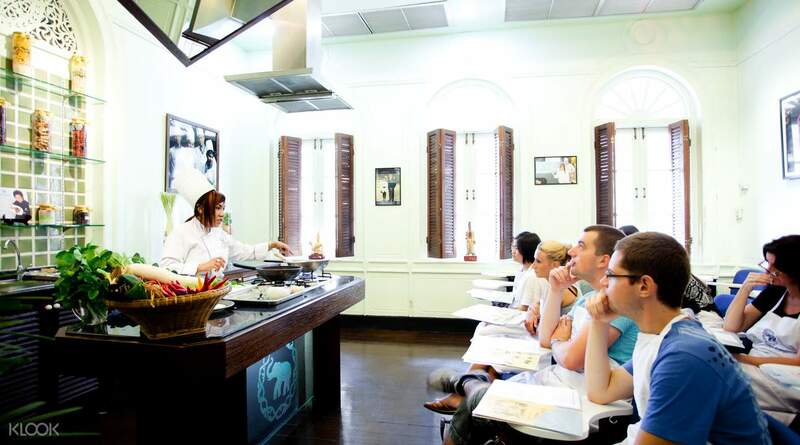 The teacher showed us every steps of the cooking, you do not have to worry even you don’t know how to cook. The school located in the center of Bangkok, near MRT station. They prepared all the necessary ingredients and utensils that you may need. The teacher showed us every steps of the cooking, you do not have to worry even you don’t know how to cook. Afternoon session was fun! Cooked 4 out of 5 dishes. The first dish (curry paste) was a watch and learn session. Afternoon session was fun! Cooked 4 out of 5 dishes. The first dish (curry paste) was a watch and learn session. The restaurant is grande and the staff are nice. Visiting market was part of the lesson and it was interesting. The restaurant is grande and the staff are nice. Visiting market was part of the lesson and it was interesting. It's happy to learn to cook the Tailand food.And walk to the tradition market . More important ,I get the knowledge about the source material . It's happy to learn to cook the Tailand food.And walk to the tradition market . More important ,I get the knowledge about the source material . Have your own set up and ingredients but most of the ingredients r already prepared for you. Great to be able to cook some of thai’s favourite dishes and can ask a friend to dine with you afterwards at the onsite restaurant. Instructor’s english was very good. Have your own set up and ingredients but most of the ingredients r already prepared for you. Great to be able to cook some of thai’s favourite dishes and can ask a friend to dine with you afterwards at the onsite restaurant. Instructor’s english was very good.